Pamela Taylor began her nursing career as a Registered Nurse on a Telemetry floor of a busy county hospital. During this initial four year experience, she gained a strong foundation in the fundamentals of healthcare. Craving a challenge, she then sharpened those skills within a trauma unit of the Emergency Department. It was within this role that it was discovered she possesses the gift of leadership and inspiring great teams. Acting within supervisory positions, she is passionately dedicated to the consistent improvement of providing quality patient care. As Director of Patient Care Services, Pam has the reputation of building health care teams of excellence. Leading great teams in case management, home health, and hospice she holds great knowledge and leadership across the health care continuum. 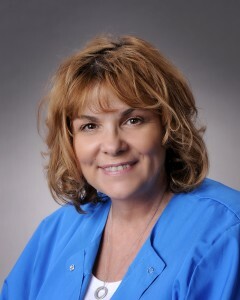 Pam holds a Bachelor’s Degree in nursing and is pursuing Board of Certification in Holistic Nursing. If you have questions about how RN oversight works at BrightStar of Ventura – CA or if want to speak with our Director of Nursing, please call us at (805) 585-2273.